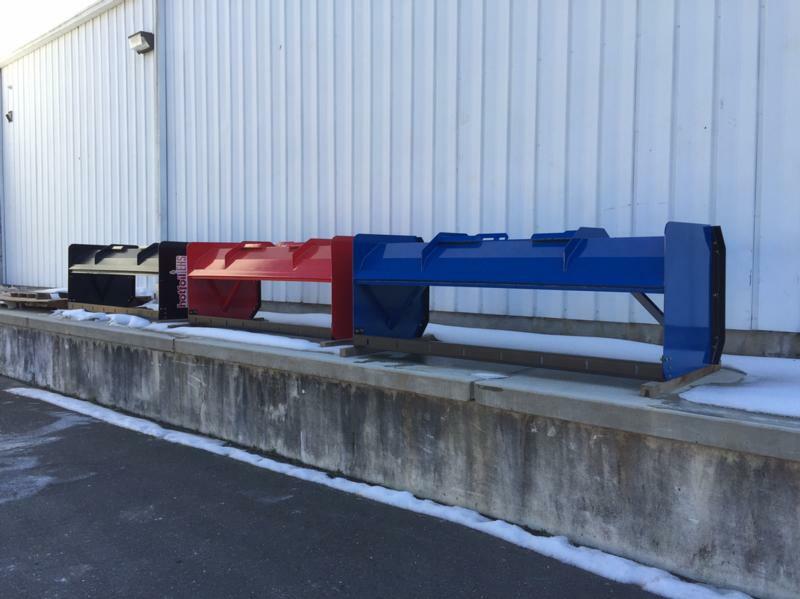 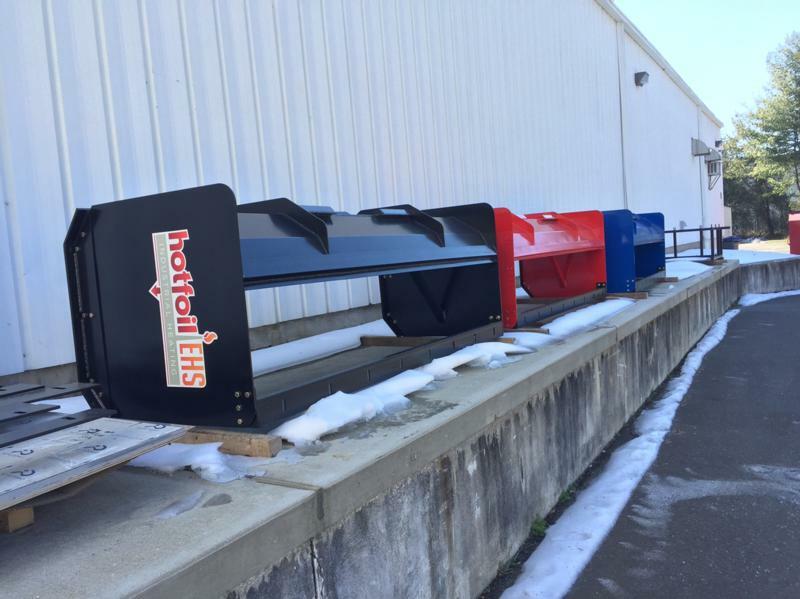 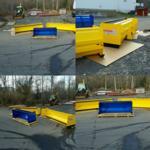 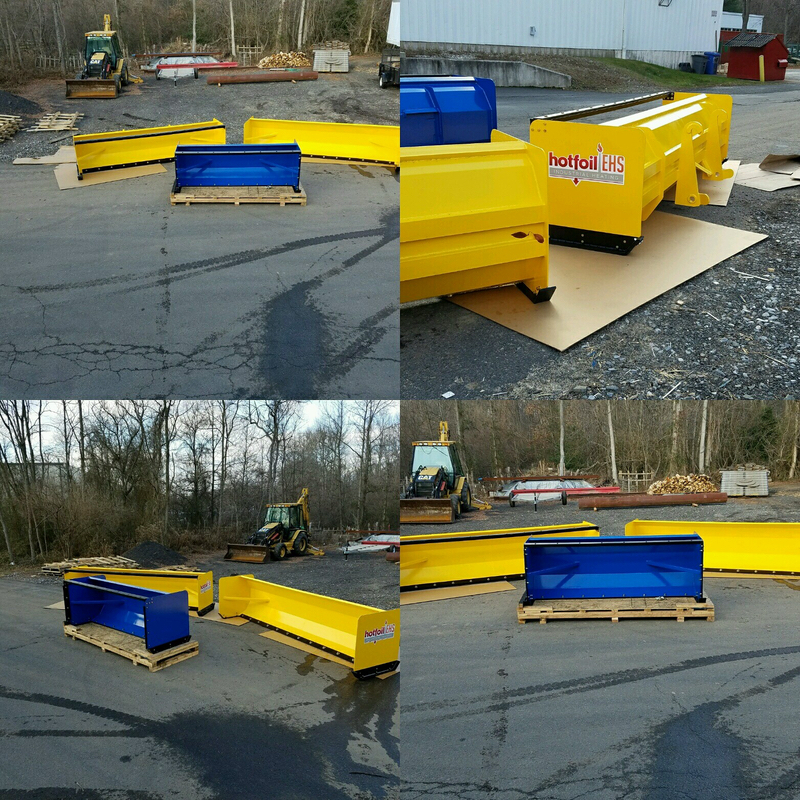 Hotfoil-EHS, located in Hamilton, NJ, builds Snow Pushers on request. 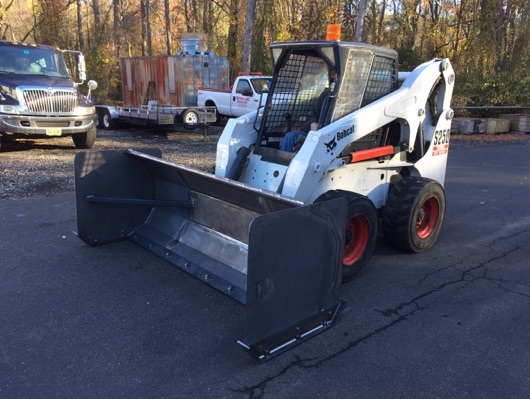 Snow Pushers for Bobcats and skid-steers are in-stock, however Snow Pushers for back-hoes are built-to-order. 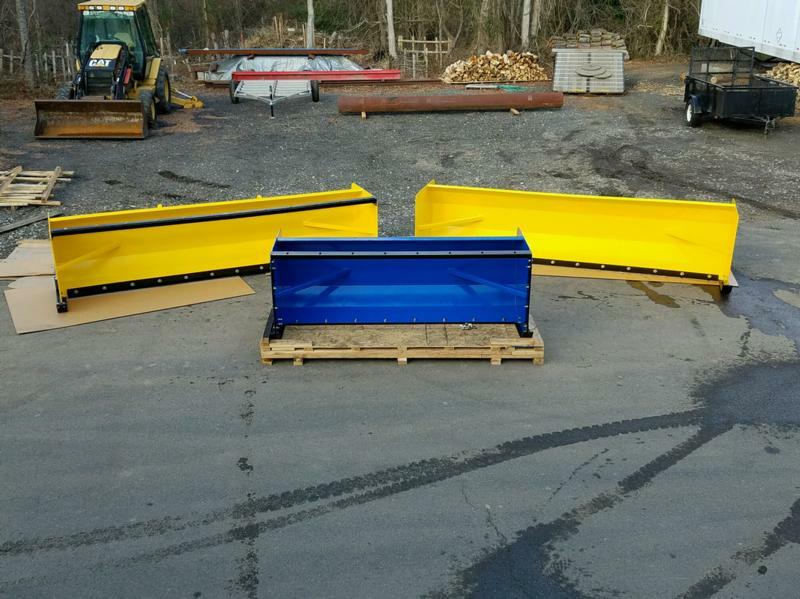 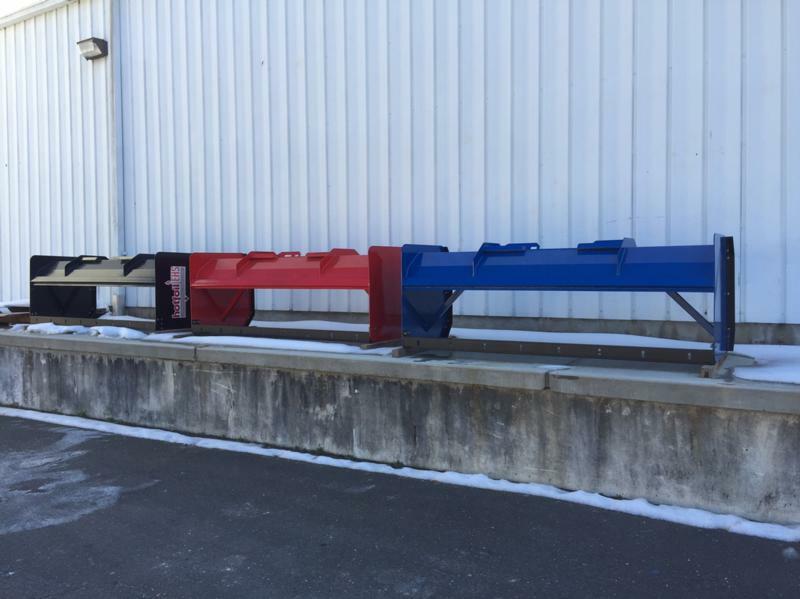 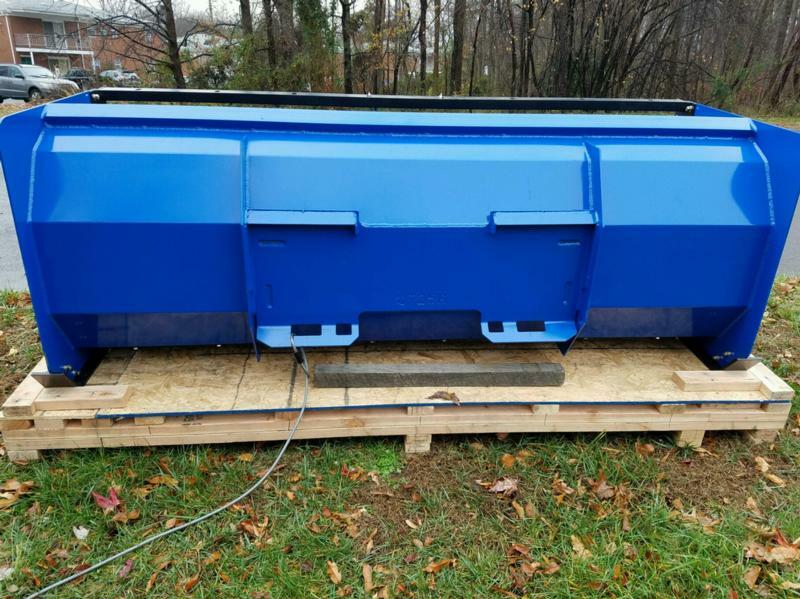 The standard color is blue with black skids, but custom colors are available upon request. 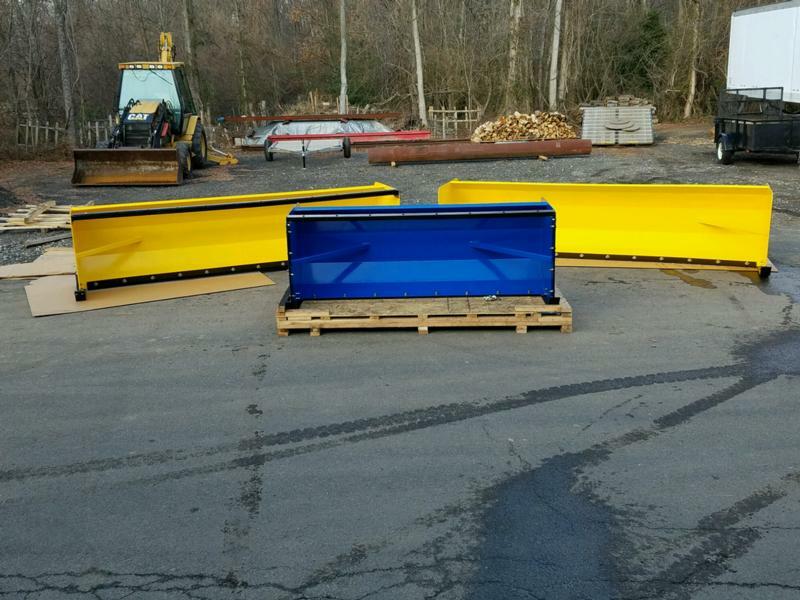 Back drags are also an available option on the 8Ft, 10Ft and 12Ft Snow Pushers.